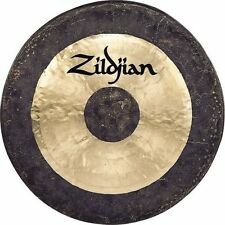 These traditional Nepali/ Tibetan cymbals produce a unique sonorous sound. Can be used for Percussion or Space Clearing. A quality product, hand-cast in the Himalayan region. 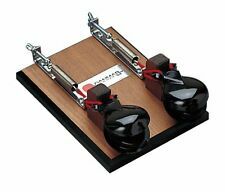 Please review the full item description of item "A-Star Glockenspiel Percussion Kit" for all information regarding delivery and technical specifications. Glockenspiel folds in half to fit in the carry case for compact storage and easy transportation. 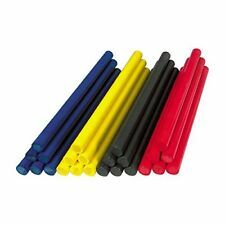 Please review the full item description of item "Percussion Plus PP024 Soprano Chromatic Half Xylophone" for all information regarding delivery and technical specifications. Save set up space and minimize clutter in your set up. Mount crash and splash cymbals efficiently anywhere on your kit. We do not accept wire transfers. Other alphabets (Cyrillic, Japanese, Chinese, etc.) will not be translated and your item will be delayed. Professional Ghungroo, (100 100) brass bells, Kathak Ghungroo. 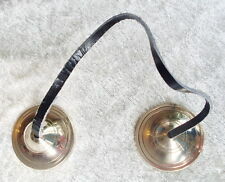 Weight : 990 Gms, New, Dancing Bells Kathak Ghungroo Pair Handmade Indian Classical Dance Accessories. Bells of Brass Tied with Cotton Cloth, Sold in Pair, Perform classical Indian dance. Rattan cane with skin. Color = yellow. This tuning creates a soothing and mystic sweep with a nice tension and release when played from high to low. The bars are polished and T-6 tempered for brilliant tone. No plastic ties are used. The mantle is hand-finished Tennessee Black Walnut. Made in Vietnam this 25cm Gong is a beautiful work of art. 25cm circumference Gong with striker and stand. May people believe that the sound of a gong stimulates strength of will and focused energy. Please review the full item description of item "Stagg BELL-SET 32 Metallophone with Stand" for all information regarding delivery and technical specifications. Rosewood-LiteTM (Padauk). The best value in a 4 octave xylophone available - period. 27-1/2" to 11" Wide. C40 to C88. 3/4" Thick. Number of bells are attached to a string or tied to a cotton cord, velvet pad strap to form a Ghungroo. These bells are made of brass and have small iron balls inside which add quite a lot of weight to them. With Gibraltar's Long Cymbal Boom Ratchet Assembly you can mount an extra cymbal to a pre-existing cymbal stand (or any other piece of hardware with a small rod). 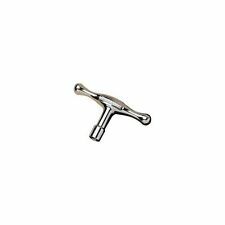 One side of the ratcheting clamp is dedicated to holding the included boom arm, which in turn can hold any cymbal at the top. We do not accept wire transfers. Other alphabets (Cyrillic, Japanese, Chinese, etc.) will not be translated and your item will be delayed. The Ultra-Grip's ski pole-like ergonomic shape is positioned near the tambourine's center of gravity for easy playability. From Gambia on the west coast of Africa. Each one is unique and therefore may vary in size, design, colour, etc. 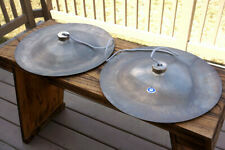 34" TAM TAM GONG w/ beater. 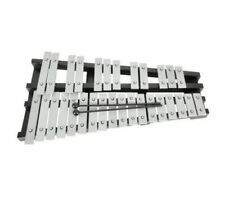 Please review the full item description of item "Performance Percussion G5-A7 27 Note Glockenspiel" for all information regarding delivery and technical specifications. In studio settings or for acoustic performances you're looking for a less aggressive sound and clear resonance. Please review the full item description of item "Stagg 36 Bar Wind Chimes" for all information regarding delivery and technical specifications. The finger cymbal is sand-cast bronze. 10-1/2" Mountable, Brushed Steel. Extra large mouth and fully radiused sides. Complex overtones with cutting, robust sound. MANUFACTURER'S REFERENCE KB / BM No. 5. STUDIO 49 SINGLE BASS RESONATOR BAR. FOR ALTO & SOPRANO. HARMONIC OVERTONES TUNING. SOUND BAR 45 x 12mm ALUMINIUM. MANUFACTURER'S REFERENCE KB / BM No. 12. STUDIO 49 SINGLE BASS RESONATOR BAR. FOR ALTO & SOPRANO. HARMONIC OVERTONES TUNING. SOUND BAR 45 x 12mm ALUMINIUM. MANUFACTURER'S REFERENCE KB / BM No. 11. STUDIO 49 SINGLE BASS RESONATOR BAR. FOR ALTO & SOPRANO. HARMONIC OVERTONES TUNING. SOUND BAR 45 x 12mm ALUMINIUM. Includes a pair of wooden handle Hard Ball 13.25" standard Mallets and Book/Music Holder that attaches to the back of the kit. Does not include case or stand. We received a limited number of these from Ludwig at this price. 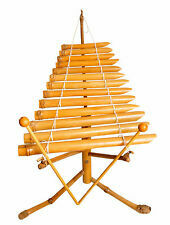 Latin Percussion Bell Tree with Multi-Purpose Steel Stand, 26 Bells. Condition is New. 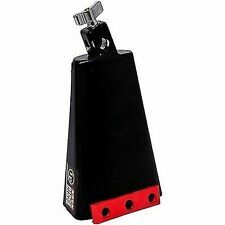 Timbale Latin Percussion Cowbell, Mountable ES-14 “Skinny Mambo Bell”. This is a brand new model. 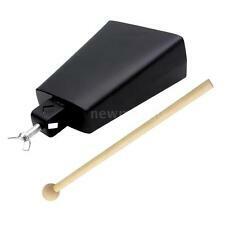 Very popular mountable Timbale cowbell Model ES-14. 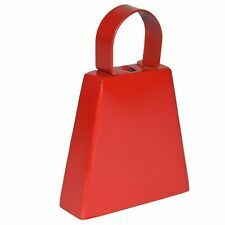 Also known as the “Skinny Mambo Bell”. Measures 8” long and 1” opening at the mouth. Original Latin Percussion product and quality sound. NEW - LATIN PERCUSSION SALSA TIMBALE COWBELL. 7.5" long; mountable. Brushed steel finish. Other alphabets (Cyrillic, Japanese, Chinese, etc.) will not be translated and your item will be delayed. We do not accept wire transfers. If you’re not satisfied, neither are we. It’s that simple. 25-note [G-G] range. 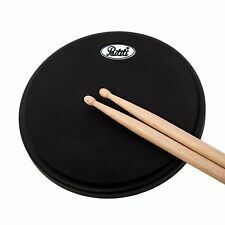 Includes durable molded case, mallets, and note chart. item# 1275776903169. Century Glockenspiel - Chromatic. 30 note chromatic glock. G - C.
Century Glockenspiel - Chromatic. With built-in sheet music holder. Made in Taiwan. Beaters supplied. New Gear: If you’re not satisfied, neither are we. It’s that simple. Electric Guitar Strings.